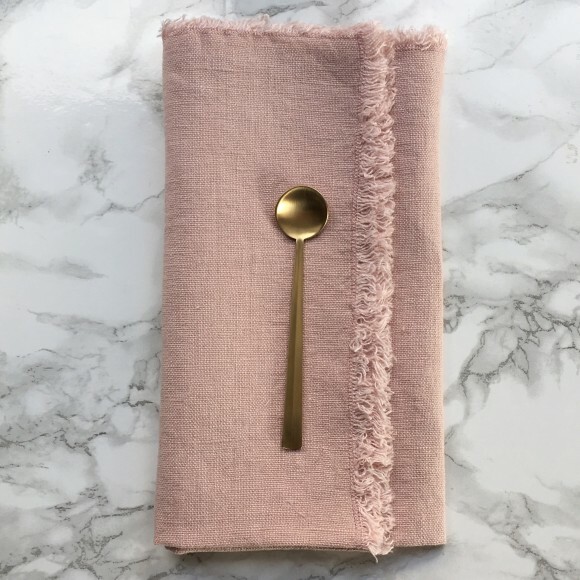 Add some colour to your table top with this pretty pink napkin with fringe edging. Made from 100% Lithuanian linen, this 'on trend' accessory will lend a simple charm to your social gatherings. Also available in sky blue and natural.